A recent study claims that gay, lesbian, and bisexual people face a greater chance of issues with both physical and mental health brought on by a lack of proper sleep. What’s more, it is the stress placed upon them via homophobia and discrimination that are to blame. The study, published in the journal Psychology of Sexual Orientation and Gender Diversity, borrows from what is called the minority stress model, a model that describes how stigmatized minority groups can face high levels of stress due to prejudice and discrimination as well as poor social support, socioeconomic status, and other causes. Rather than focusing directly on the stress itself, this new study looks at how all these stresses are affecting the sleep patterns of gay, lesbian, and bisexual participants. Proper rest is one of the keys to our health and well-being. It is recommended that those between the ages of 18 and 64 get seven to nine hours of sleep a night. 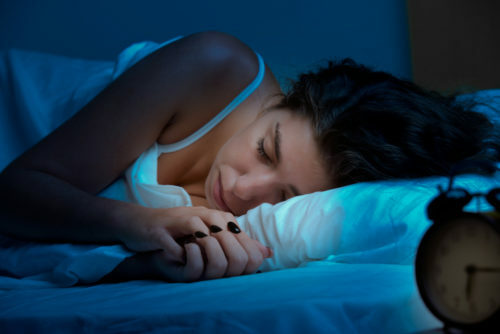 A lack of proper sleep has been linked to a number of health issues as wide ranging as high blood pressure, diabetes, depression, and even sexual dysfunction. The study covered a sample of over 15,000 participants, most of which were heterosexual, with 2.1% identifying as gay, and 1.3% identifying as bisexual. The survey had two questions focused on insomnia, with additional questions focused on the stresses the individuals faced. Amongst respondents, it was gay, lesbian, and bisexuals who reported more troubles both falling asleep and staying asleep. Much like other sleep studies, women also reported a higher instance of sleep issues than men. Likewise, participants who were gay, lesbian, or bisexual reported higher levels of stress in their lives, in particular stress caused by familial rejection. The study suggests that treating insomina for gay, lesbian, and bisexual people may be a useful step in improving health, but does recommend further study.